This resource is TEKS-aligned and in STAAR format. 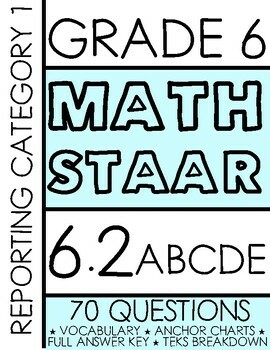 It can be used for assessment, targeted TEKS practice, STAAR test prep, and more! 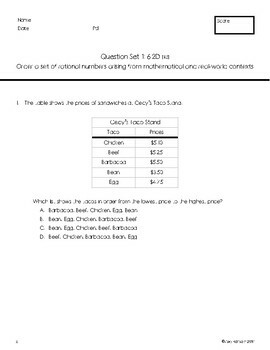 ALL questions are directly aligned to the SIXTH GRADE MATH TEKS and are formatted in STAAR style. Process standards are embedded within each question to best prepare students for success on all 6.2 STRAND STAAR questions. Visit my store for additional resources!